If we’re talking about books containing timeless wisdom, you’ve probably heard about books like Sun Tzu’s Art of War, Niccolo Machiavelli’s The Prince, Miyamoto Musashi’s The Book of Five Rings, and several others. There’s one more that I will recommend to you, and that’s Baltasar Gracian’s The Art of Worldly Wisdom, a book containing over 300 aphorisms and lessons that still are still extremely valuable today. In this article, we’ll talk about one of those lessons since it’s applicable to money, personal finance, and general success. When I took a short first aid and basic life support training under a couple of independent first responders and search and rescue agents, one important lesson they taught me is the value of redundancy. When we talk about first aid, you should have more than one piece of medicine, more than one triangular bandage, more than set of gloves, etc. The reason for that is because things CAN go wrong even if you’re prepared, and if the thing you prepared fails, then you at least you have a backup. This concept doesn’t just apply to first aid or disaster prevention scenarios. It applies to your finances too. 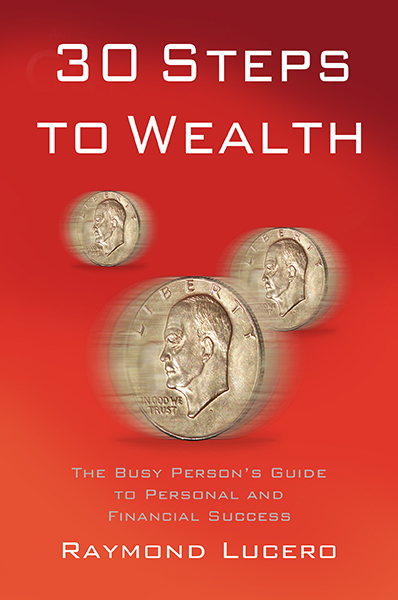 This one is such a valuable concept that Robert Allen, the author of The One Minute Millionaire, wrote an entire book about it. Most of us have a source of income, like a job or a business. Unfortunately, if we depend too much on just that ONE source of cash, we’ll be in BIG trouble if something happens to it. We may think that our jobs are secure right now, but there’s really no telling if and when the economy changes, your company gets hit by disaster, or, as it was in my case, you outgrow your work environment and it was necessary to leave. While some people might hesitate to do sidelines or side businesses for some odd reasons, just remember that a job is merely a source of money. It is NOT your identity. There’s no reason for you to confine yourself to your job alone, and you can always look for additional sources of income like through sidelines and investments. In my case, it was my dividend income that allowed me to leave my previous job and start YourWealthyMind.com, and it was from the multiple methods of monetizing a blog that I’ve kept it going. A lot of great businesses were built over the weekend in people’s garages while they worked at a dayjob, so don’t discount that possibility! Also, aside from having a second income source, remember to save up and build an emergency fund just in case. It’s an integral part of financial stability after all. Chances are you’ve heard of the saying “don’t put all your eggs in one basket”. If you’re foolish enough to gamble everything in one venture, then you lose everything if it goes wrong. While the ability to focus on specified goals is important for achieving success, in terms of personal finance and investing, it’s best to diversify and minimize risk. Instead of putting your life savings on just one company stock, mutual fund, piece of real estate, piece of investment, bank account, or something else, it’s best to diversify it across several kinds of assets. While we can approximate how stable or secure a certain investment is, there’s really no guarantees for how well it will do in the future. Learn to diversify. Read our more detailed article about diversification here. Another tip I have is that you should have more than one bank account, and split your money among them. Sometimes bank networks go offline and if you don’t have an alternative money source when you need it, you could be in big trouble. Credit (and debit) cards do get lost as well, so if one of yours get stolen, at least they won’t have access to the one account that contains ALL your cash. Some people think that you should “burn your bridges” if you want to succeed (because you can no longer run away if things get tough and you have no choice but to keep going). That’s not really a good strategy for a lot of things. While some may think that having backups or plan B’s mean that you’re expecting to fail, it’s not really a bad idea to prepare alternatives and strengthen your position. After all, games are not always about pure offense. To win and be successful, you also need to have a good DEFENSE. You’ll need a great overall strategy as well as multiple tactics and resources that you can use to achieve victory. 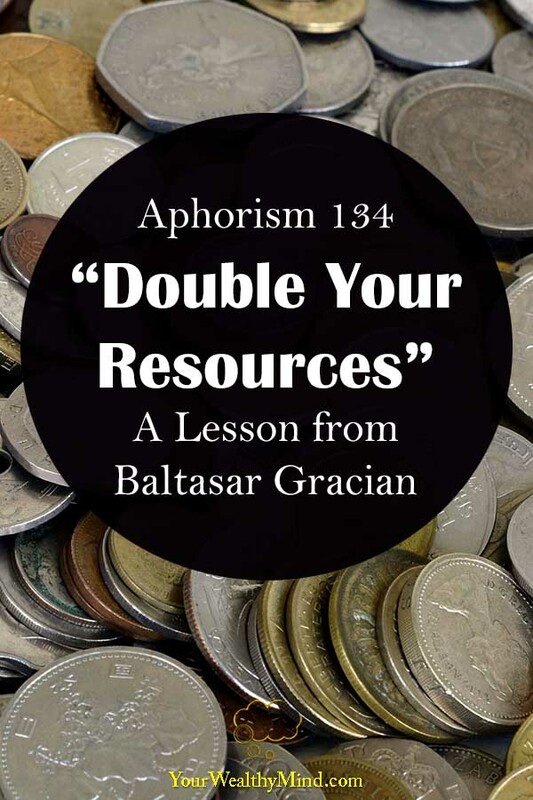 Like what Baltasar Gracian said, we must remember to double our resources and our sources of success. By doing so, we double the quality of our life.